I LOVED the effect glitter and shimmers give to the nails. I do glitter nail art only when I need to attend a party as I find this process a bit messy. Recently while browsing Born Pretty Store I came across this tool which reads “Glitter Picker”. Though I was not sure if it would be of much help but I ordered it anyways! Born Pretty Store Glitter Picker* is currently on discount at $1.99 (original price $3.50) and you can buy online HERE. Use Born Pretty Store discount coupon code MEGW10 to get 10% off on your order! The glitter picker does not come in any case so make sure you keep it in long box to avoid damage to the foam. 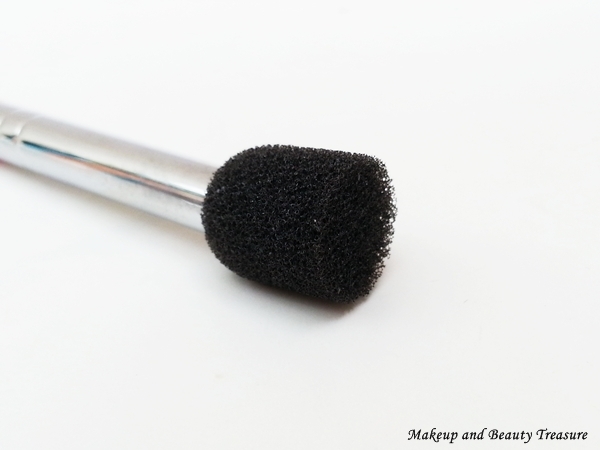 The foam or sponge is attached at the top of the tool and is very soft. 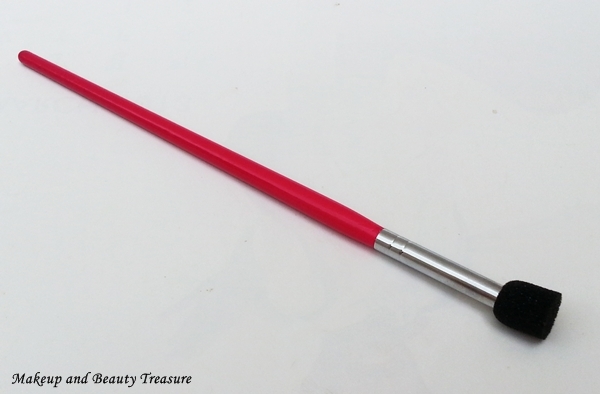 The glitter picker looks just like any other makeup brush with a pink wooden handle. Apply the base coat and let it dry completely. Use the clear polish at the point where you want the glitter to stick. I simply tap the glitter picker slightly on glitters/ shimmers. Instead of sweeping or tapping it onto wet clear polish, I tap the handle and glitter falls off on the nail polish and adheres to it. In case you tap the sponge onto your nail polish, you can clean the sponge with nail polish remover easily. The glitter picker picks the right amount of glitter and makes glitter nail art way too easy. The glitter or shimmers do not tend to stick to the foam and falls off with a light tap. The glitter picker is definitely an innovative product and is a great tool if you are fond of shimmer nail art but find it quite messy. The only downside is the sponge is slightly loose from the end and I take care to use it gently else it might fall off! I did a nail art using this tool HERE. • Picks up right amount of glitter or shimmer. • The shimmers fall off easily on nails without being messy. • Easy to hold the tool. • Great tool for nail art lover! • The sponge is slightly loose at the end and might fall off if pressure is applied! 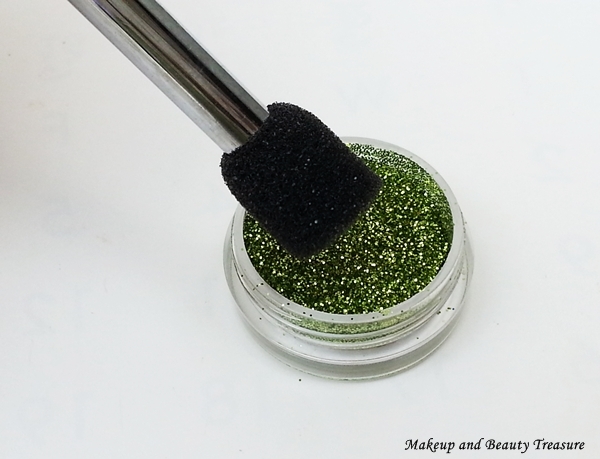 Born Pretty Store Glitter Picker is an easy way to do glitter or shimmer nail art. It does not create a mess like fan brush. I would definitely recommend it all nail art lovers! Great for the price too! 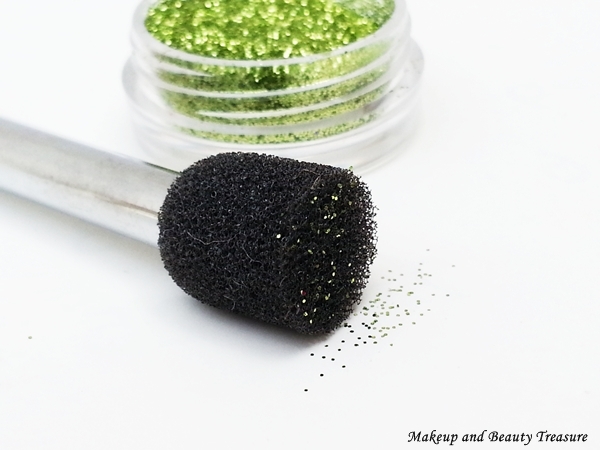 Have you used Born Pretty Store Glitter Picker? How do you use it?